A squirrel chews acorns in Portland, Sept. 11, 2018. DANVILLE, Vermont — Maple syrup producers have more than the weather to worry about. Frenetic squirrels are chomping on equipment, crimping the flow of sap at some operations. 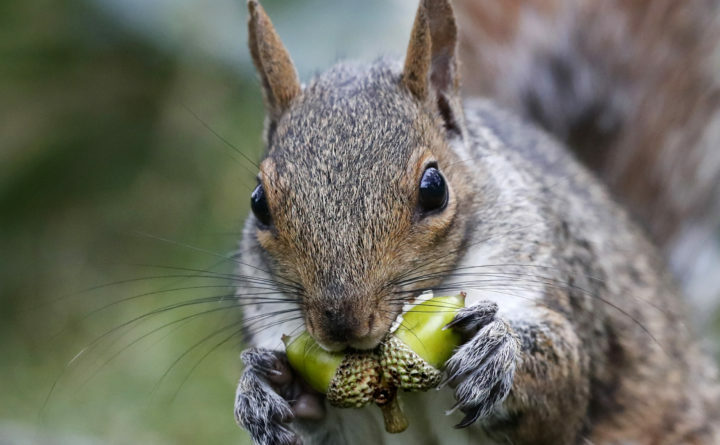 The trouble is the squirrels could take one bite of tubing and move another 100 feet where they could take another bite, making the damage hard to find, said Merrifield, who is president of the Maine Maple Producers Association.